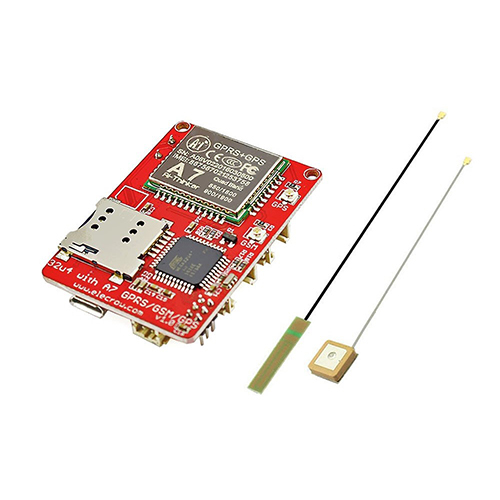 The new 32U4 with A7 GSM/GPRS/GPS Board is based on mega32U4 and A7 GSM/GPRS/GPS module. 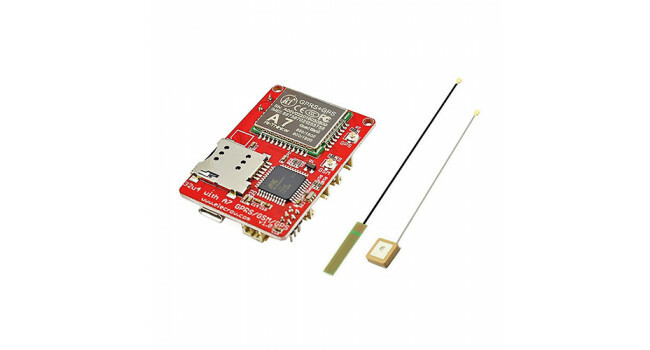 Compared to 32u4 with A6 GPRS GSM Board, it adds a GPS function, it also can call and send text messages even via GPRS to upload data to a server. At the same time it leads to an analog interface, an IIC interface and 2 digital interface, which you can connect to other modules more easily. The onboard interface connectors use the JST-HY 2.0mm standard (called Crowtail Connectors) which is not the same as the JST-PH 2.0mm. Battery LiPo 1200mAh 3.7V Lithium ion polymer (also known as 'lipo' or 'lipoly') batteries are thin, light and powerful. The output ranges from 4.2V when completely charged to 3.7V. This battery ha..
3 Pin Crowtail Cable (5 Pack) The Crowtail cables use the JST-HY 2mm connector. The Crowtail interface standard is used on all Elecrow.com products. We stock most of their control and interface board..
Crowtail Female to Du Pont Male Cable - 4way A 4 Pin Crowtail to Male Splittable Jumper Wire that use on the connection of Crowtail module and other shield which has TTL interface. It's easy to plu..
JST to Du Pont (SIL) 3 Way Cable (10 Pack) The JST to Du Pont 3 Way cables are very handy. This cable also compatible with all of DF Robot's IO Expansion shield and sensors. 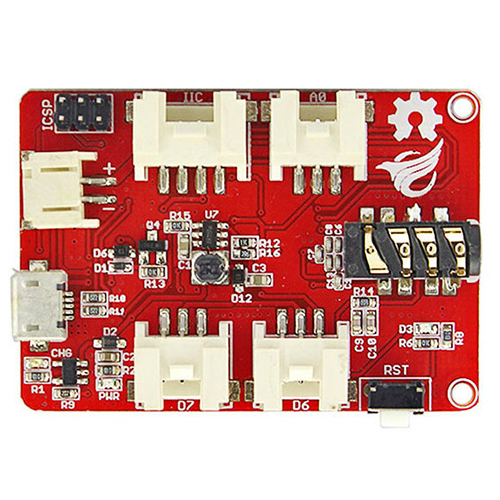 This price includ..
4 Pin Crowtail Cable (5 Pack) A 4 pin Crowtail cable for connecting the modules with main control board. Sell at a low price with good quality. Quick Spec Length：20.5cm Shipping List ..